Since 1990, the CO2 emissions from power generation in the UK have more than halved, but the CO2 emissions from transport have barely changed. Road transport emissions remain a major health and social problem in the UK, particularly in towns and cities, where air quality is often very poor. Chargemaster supplies charging points, as well as the UK’s largest public charging network, to enable motorists to drive more zero-emission electric miles. In addition, it operates the EV Experience Centre on behalf of Milton Keynes Council to help educate and inform consumers, helping them to switch to electric motoring. Chargemaster has an impressive, innovative business model that is kickstarting the EV revolution by rapidly rolling out high quality British-built charging infrastructure and removing a barrier to widespread adoption of EVs. 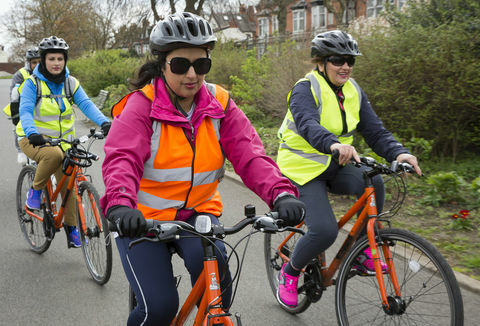 Motorised vehicles are one of the main sources of air pollution in towns and cities, and also a significant consumer of fossil fuels, so reducing their use is good for health and the environment. 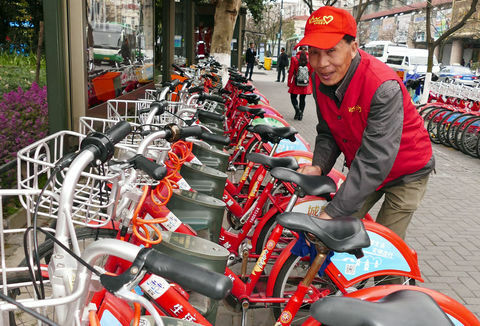 The hierarchy of sustainable alternatives starts with walking, cycling and public transport, but private cars will remain a part of our transport system, so it is important that they are not burning fossil fuels. Electric vehicles (EVs) are one alternative, and sales of them are growing in the UK, but a prerequisite for wider use of EVs is adequate charging infrastructure. Chargemaster estimates that 80% of EV charging is done at home, and the 45,000+ Homecharge units it has sold enable this to happen, but its POLAR charging network provides over 42,000 drivers with access to over 6,500 public charging points across England and parts of Wales, Scotland and Northern Ireland, as well as 24-hour telephone support to assist EV drivers if they are unsure of how to charge their vehicles. The POLAR network was used over 540,000 times in 2017, delivering enough energy for about 19 million miles of electric driving. As the energy supplied is matched by renewable generation by Chargemaster’s partner OVO Energy, this saved about 3,800 tonnes of CO2. If charging at home was also from 100% renewable electricity, then energy supplied through Chargemaster’s Homecharge units would have saved at least another 26,000 tonnes of CO2. The most effective way of getting people to buy EVs is for them to actually try them out. 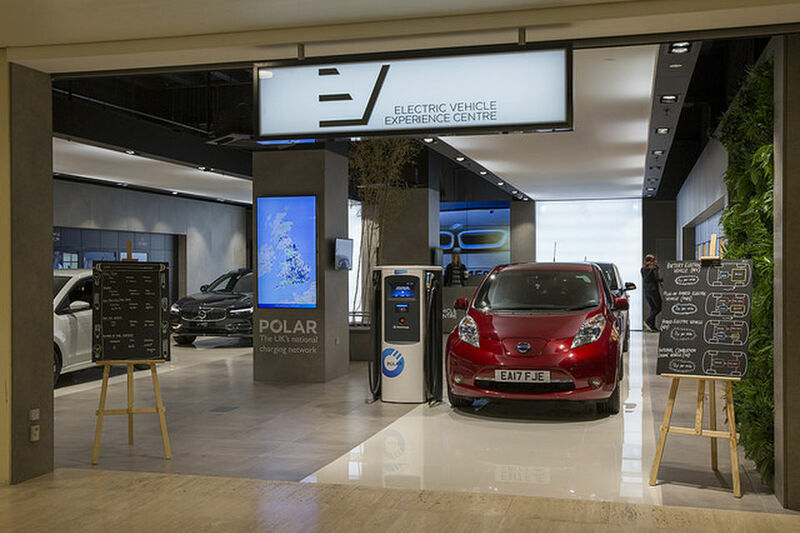 Chargemaster is also working to grow the market for EVs by running the EV Experience Centre, which is part of Milton Keynes’ government-funded Go Ultra Low scheme and had over 50,000 visitors and over 1,200 EV test drives during its first nine months. The full range of Chargemaster’s work has created 340 jobs within the company and its subsidiaries, and supports additional employment at suppliers of components for its charging points, which are manufactured in the UK. Chargemaster builds and installs charging points with output power ranging from 3.6 kW to 50 kW, covering every market from domestic through to rapid charging alongside motorways. The charging points are designed and manufactured at Chargemaster’s factory in Luton, and most of the components are also sourced within the UK. This is not just a case of supporting local jobs, it also enables Chargemaster to maintain high quality standards and ensure its products are suitable for use in the UK. For example, its charging points – including the only rapid charger made in the UK – are all less than 1.6 metres high, so that they do not require planning permission and are therefore cheaper to install. 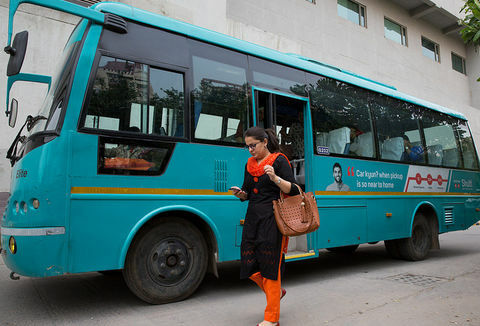 Its charging points can be equipped with mobile communications to allow access to them to be controlled and for usage to be recorded, or they can be key-operated. To date Chargemaster has manufactured over 50,000 charging points. To date Chargemaster has manufactured over 50,000 charging points. Although 80% of EV charging is done at home, charging elsewhere is vital for EVs to be practical as replacements for petrol or diesel vehicles, especially for those without off-street parking where they can install their own charging point. 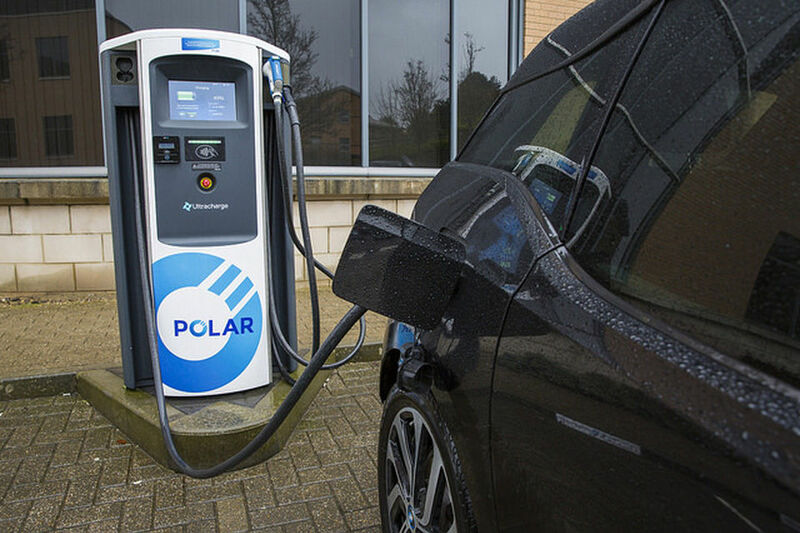 Chargemaster’s POLAR network is available to anyone through the ‘POLAR instant’ smartphone app, but the most cost-effective option is to sign up as a ‘POLAR plus’ member, gaining access to free charging on more than 70% of the network for £7.85 a month as of April 2018. The remaining 30% of the network typically costs 10.8p/kWh for charging – it is down to the host of the charging point to decide whether to cover the cost of charging themselves or to pass it on to customers. Some hosts, such as restaurants or hotels, might see the provision of free EV charging as a draw for customers, while public car parks would be more likely to require payment for charging. By partnering with local authorities and chains of hotels, supermarkets and restaurants, Chargemaster is able to install POLAR charging points in locations that are useful for drivers and beneficial for the hosts as well. By combining this ‘destination charging’ with the 80% of charging done at home, there is actually less need than might be expected for the rapid 50 kW charging points – urban charging for those without off-street parking and driving on long-distance routes are the most likely times drivers may need to give their EVs a significant top-up in a short space of time. The electric vehicle Experience Centre inside Milton Keynes shopping centre, set up and run by Chargemaster. 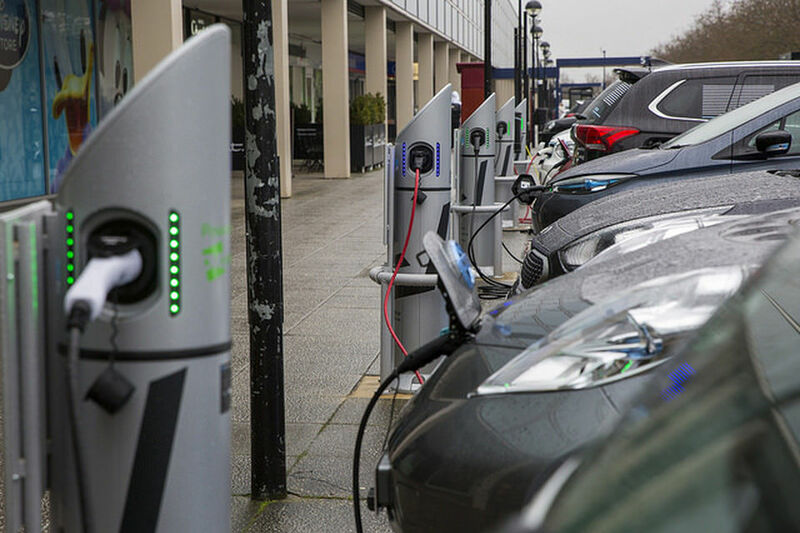 As well as manufacturing and installing the infrastructure required to support EVs, Chargemaster is also working to increase demand for the vehicles, by raising awareness through the EV Experience Centre (EVEC), which it runs on behalf of Milton Keynes Council. Located in the centre:mk shopping mall, the EVEC has EVs and plug-in hybrids from seven different car manufacturers available to view in the showroom and also to take out for test drives. Longer-term loans of a few days are also available at low cost, allowing potential EV purchasers to find out for sure if the vehicles will really suit them. The EVEC remains brand independent – although Chargemaster and all manufacturers involved contribute towards the operational costs, a grant from the Office for Low Emission Vehicles’ Go Ultra Low Cities programme funded the setup of the centre, including the purchase of the vehicles. The EVEC does not sell vehicles – if a visitor decides they wish to buy one, EVEC staff will put them in touch with the manufacturer’s local showroom. Chargemaster is planning a share issue in 2018, which will raise the company’s profile and also help fund expansion – every month, 30 rapid chargers and around 100 fast chargers are being installed and added to the POLAR network. 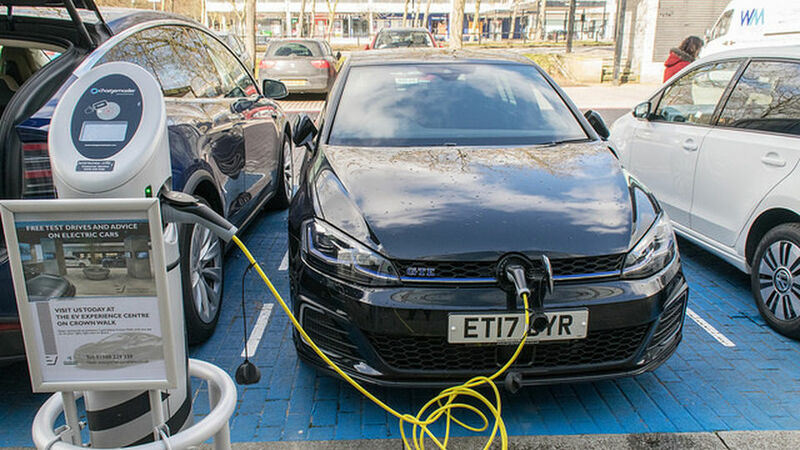 By 2022, Chargemaster expects the POLAR network to include 50,000 charging points, and the number of EVs on UK roads to have exceeded one million.